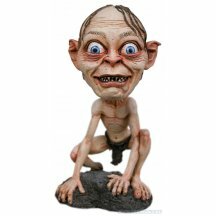 An expansion to our popular Head Knocker brand brings you characters from The Hobbit and the Lord of the Rings trilogy. 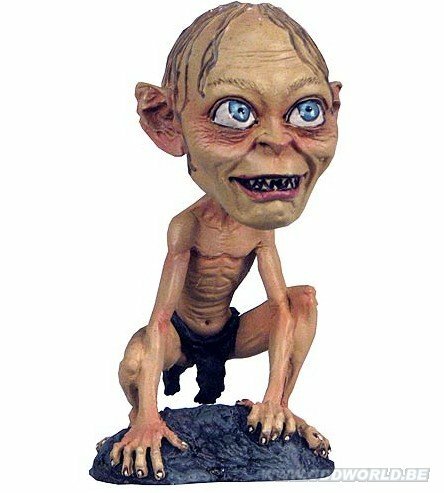 Our first selections are based on Gollum and Smeagol's appearance in Lord of the Ring trilogy and feature amazing detail. 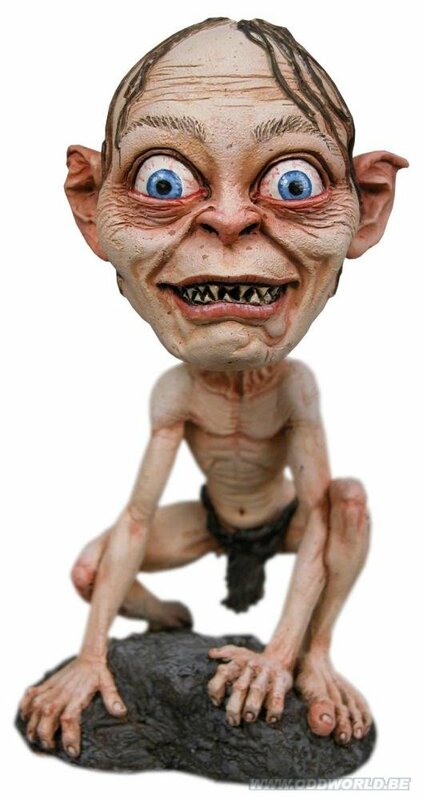 These resin bobble heads stand nearly 6" (+- 15 cm) tall in their crouched pose and are hand painted. Comes in full-color window box.